Chris Browne, DOT’s Chief Communications Officer, joined DOT in 2015, where he manages external messaging and communications strategy for the nation’s largest municipal transportation agency. 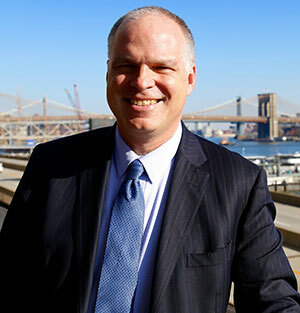 Over the previous decade, Mr. Browne has directed communications for New York State’s housing agency (HCR) and New York City’s Department of Finance. Mr. Browne’s prior government experience also includes work for the New Mexico State Senate, as well as for Manhattan Borough President Ruth Messinger and the New York City Department of Consumer Affairs. A Brooklyn resident, Mr. Browne holds a B.A. from Columbia University and a Masters in Public Administration from Harvard University’s Kennedy School of Government.